The Fire Brigades Union and The National Education Union have written to the secretary of state for education, Damian Hinds, about schools being rebuilt without fire sprinklers. Building Bulletin 100: Design for Fire Safety in Schools  (page 12) is clear that all new schools should have sprinklers fitted, “except in a few low risk schools”. 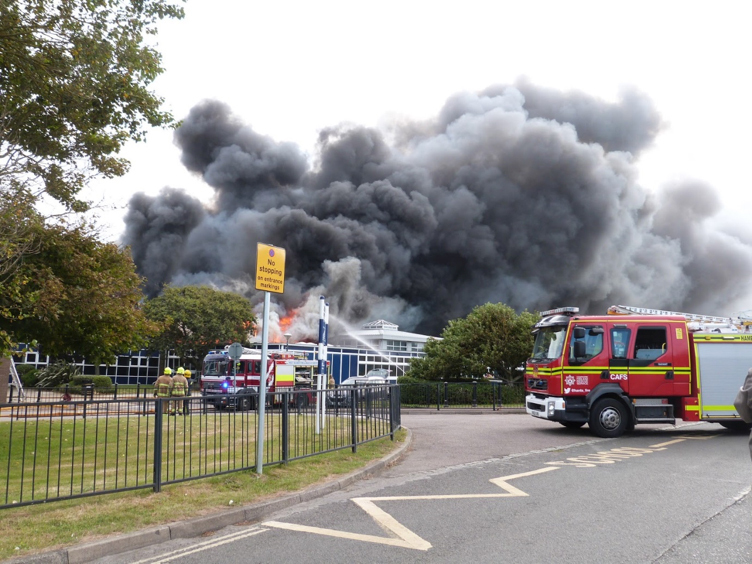 It was announced on 23 January that Selsey Academy, a school in West Sussex operated by the Kemnal Academies Trust (TKAT) which burned down in 2016 would be rebuilt without a sprinkler system fitted. The joint letter states ‘We find this decision incomprehensible. We are aware that the possibility of including a sprinkler system was tabled at a very early point in the design process for the new Selsey Academy. ‘As the original building had no sprinkler system, the underwriter declined to include such a system on the claim. If all decisions were made on this basis sprinklers would never be fitted for re-builds, because no school fitted with a sprinkler system has ever burned down. Andy Dark, assistant general secretary of the Fire Brigades Union, said: “The government’s attitude toward fire safety is shockingly cavalier. Sprinklers play an important role in preventing the growth of fire, limiting damage to buildings and saving lives. “The cost of fitting sprinklers represents a very low investment when weighed against the potential threat to life, the damage to buildings and the disruption of children’s education if there is a fire in a school. Fire safety is our number one priority at Freya Fire Solutions and we are experienced at providing advice, reports and training to educational buildings and establishments. Please contact us to discuss your specific needs.